Curator of aeronautics Van der Linden has selected the most historically important, popular, and just plain impressive aircraft and spacecraft from the collection of the Smithsonian's National Air and Space Museum and the Dulles Center. It was a desperate mission that made front-page headlines and captured the attention of millions of readers around the world. In January 1998, in the dead of an Alaskan winter, a cataclysmic Arctic storm with hurricane-force winds and towering seas forced five fishermen to abandon their vessel in the Gulf of Alaska and left them adrift in thirty-eight-degree water with no lifeboat. Their would-be rescuers were 150 miles away at the Coast Guard station, with the nearby airport shut down by an avalanche. The Last Run is the epic tale of the wreck of the oldest registered fishing schooner in Alaska, a hellish Arctic tempest, and the three teams of aviators in helicopters who withstood 140-mph gusts and hovered alongside waves that were ten stories high. But what makes this more than a true-life page-turner is its portrait of untamed Alaska and the unflappable spirit of people who forge a different kind of life on America's last frontier, the "end of the roaders" who are drawn to, or flee to, Alaska to seek a final destiny. Award-winning automotive historian, author, and photographer Dennis Adler takes you on a whirlwind tour through more than a century of automotive history, from the first production motorcar, the 1886 Benz Patent Motorwage, to fabled makes including Hispano-Suiza, Duesenberg, packard, and Hudson More than 200 stunning color photographs define and detail the remarkable styling and revolutionary mechanical engineering for 100 greatest cars ever built. Adler, in accordance with the world's leading automotive dseigners, collectors, and authorities, picks the top ten cars of all time--breathtaking cars that have become the motoring icons of the twentieth century. The Art of the Automobile reveals not only the makes and models that have left an indelible mark on the motoring world, but why and how these specific cars have become so important to the history of the automobile itself. For anyone whose pulse quickens at the sound of a Ferrari V-12, or whose heart races at the sight of a glorious 1930s Duesenberg, here, truly, is the essential car book of the century. The Smithsonian National Air and Space Museum holds the country's premier collection of historic aircrafts, but visitors must view these impressive structures at a distance. IN THE COCKPIT captures the feeling of helming these historic craft with big, gorgeous four-color photographs that will give flight enthusiasts a true pilot's eye view of many of history's most important domestic and military airplanes, jets, and helicopters. Each entry includes archival images of the craft and authoritative text that places each one in the context of the development of aviation technology and world history . The Airplane by aerospace industry writer Jay Spencer, former assistant curator of the Smithsonian National Air & Space Museum and the Museum of Flight in Seattle, is the definitive history of how we invented and refined the amazing flying machines that enabled humankind to defy gravity. 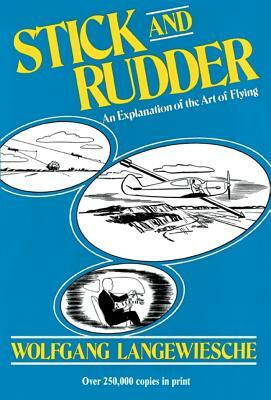 A fascinating true account certain to enthrall and delight aviation and technology buffs, The Airplane is lavishly illustrated with more than 100 photographs and is the first book ever to explore the development of the jetliner through a fascinating piece-by-piece analysis of the machinery of flight. 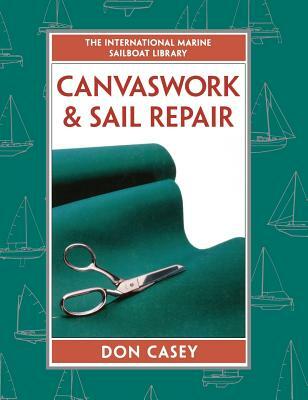 The skills required for top-notch canvaswork are astonishingly few, and canvas's potential to protect your boat and enhance your enjoyment of it is practically limitless. Here is all you need to tackle virtually any canvaswork project: sails and sailcovers, flags, dodgers, ditty bags, cushion covers, and awnings--including Biminis. It's clean, safe, and risk-free--and you'll save a bunch of money and get exactly what you want in the process. 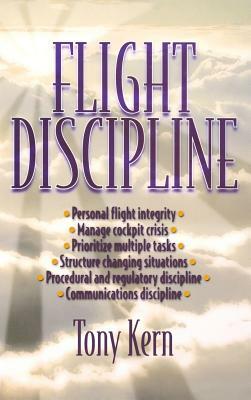 Flight Discipline is the complete tool kit for any aviator, whether military, commercial, or recreational, to develop the crack discipline needed to be a safe and effective aviator. 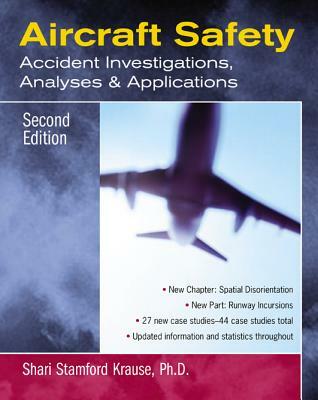 Major Tony Kern analyses the causes of poor flight discipline, gives chilling case studies of the consequences, and lays out a plan for individual improvement. Key words are italicized and review questions included for each chapter. 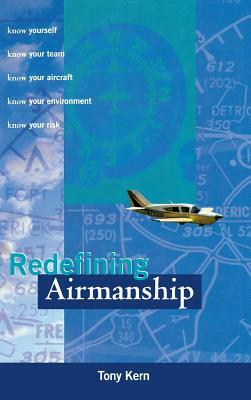 An unequalled guide to this mainspring of good piloting. Between these covers is the essence of centuries of seafaring experience, distilled into a concise, alphabetically organized reference for sailors and powerboaters. You'll find rules of thumb for hull thickness, bottom paint coverage, estimating distances, when to hoist and lower flags, predicting weather, which colors are unlucky, rope size and strength, anchoring rights, making a rum punch, and a lot more. This is either the most useful boating book ever designed to entertain or the most entertaining book ever designed to be useful. Open it to any page and browse awhile. You'll see. The Benchmark Portable Manual Since 1952 - Revised And Updated for the 21st Century. @lt;p@gt;The definitive nuts-and-bolts manual for all-metal aircraft, from Cessna 150s to Boeing 747s, this newly revised and updated classic gives mechanics and technicians clear, step-by-step, fully illustrated procedures for all standard aircraft tasks. @lt;p@gt;The Sixth Edition of this bestseller: @lt;br@gt;Features coordinated step-by-step procedures, methods, and techniques - including those used by Lockheed and Rockwell Boeing @lt;br@gt;Details basic shop practices such as drilling and riveting @lt;br@gt;Shows you how to install electrical wiring and plumbing @lt;br@gt;Gives clear directions for nondestructive testing, corrosion prevention and control, and other vital tasks @lt;br@gt;Fully demonstrates forming and fabricating @lt;br@gt;Covers materials and materials handling @lt;br@gt;And more! @lt;p@gt;@lt;i@gt;The Standard Aircraft Handbook for Mechanics and Technicians@lt;/i@gt; is the one all-metal-aircraft source that you'll turn to again and again, for projects large and small. On the surface, choosing the correct propeller for a particular boat seems simple. But one factor affects another, which then affects another factor, leading many boaters to believe that propeller selection depends more on black magic than logic. All the questions are answered in this complete reference, the first of its kind. 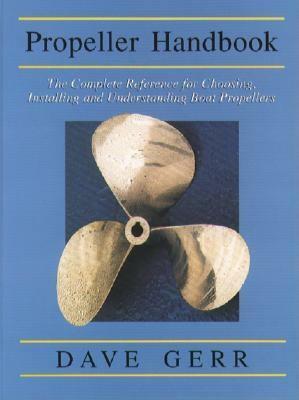 This clear, easy-to-use handbook for all small boats is written not for Ph.D.s seeking the latest wrinkle in high-tech propeller design, but as a practical aid for the average mechanic, engineer, boatbuilder, fleet operator, serious yachtsman, or naval architect.